Mel Bright founded her studio, MAKE Architecture, a decade ago – developing a practice that focuses on socially and environmentally driven design. 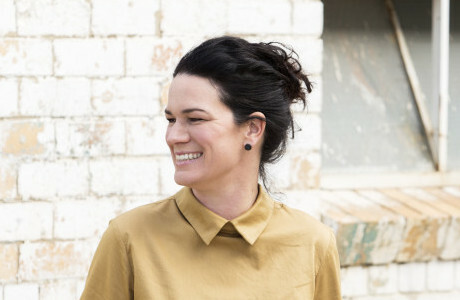 After speaking at MPavilion and the Contemporary Architects Speaker Series last year, and with a collection of awards under her belt, Mel Bright is now bringing her expertise to the IDEA judging panel for 2016. How do awards competitions such as IDEA impact the architecture and design community? Awards programs are a fantastic way to connect with the larger community and promote good design. To not just complete something but to complete something worthy of being entered into an awards competition is a real achievement. For our practice, whether an entry wins or not, it’s still a moment where we get to celebrate the project. It’s always rewarding to look back on two or three years of hard work, where we have typically trawled through problems of budget, site issues and client challenges to end up with a finished project. At the end, being able to see it through to an awards ceremony—among equally deserving projects—is a gratifying experience that is sometimes hard to come by in this field that can often be a gruelling one. How are you feeling about being a judge? I’m really excited. I’ve never judged an interior design awards program before but I have been on many juries for awards for the Institute of Architects, which have of course been mostly made up by architects. As this comprises broader and more diverse fields, I’m interested in and excited by the different approaches and conversation that IDEA will initiate as well as the range of people who will be involved in the process. I also really enjoy judging because it helps hone our own work. It’s extremely helpful to sit on the jury and really consider why a project is good, what makes a truly great project. I then come back to my own work with the same parameters and ask myself, “is this good enough?” Sometimes the answer is no, so it pushes me to try to do better in that way. Local House, photo by Peter Bennetts. Last year MAKE won the Residential Single category for Local House – do you think that this will change the way you approach judging in any way? Winning was a great honor for us and really exciting, Local House is a project that has given back so much, which made 2015 an exciting year for us. For me personally, I will come on the jury with some of my own ideas of what I believe is important in projects. The one thing I like about IDEA is that it’s not just celebrating projects with good finishes—it’s about ideas as well. 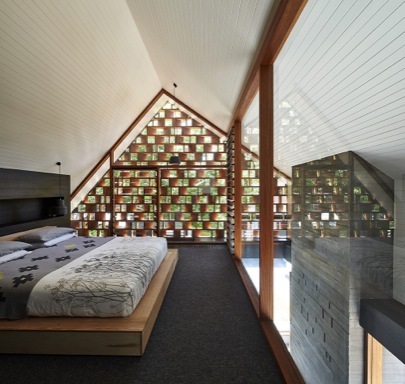 IDEA eschews simply rewarding a good-looking interior and recognises studios with bigger ideas. That’s an approach that we embrace at MAKE, so I am looking forward to seeing projects that take on a similar understanding in the judging process. What is in the works for MAKE Architecture at the moment? We have four projects on-site at the moment – potentially eight by the end of the year. We are also working on a great multi-residential project in Sydney. We still love our bricks and have a few brick projects going on, and multiple projects that are trying to activate suburbs and cities. The wonderful thing about having Local House recognised is that it has given our clients more faith in us. We have spent many years proving ourselves, and now we have room to make our projects better by bringing in our ideas about landscape and rooftop gardens. We’re enjoying a bit more space in projects to take them further, so we have some really exciting projects coming up. To enter IDEA 2016, click here.